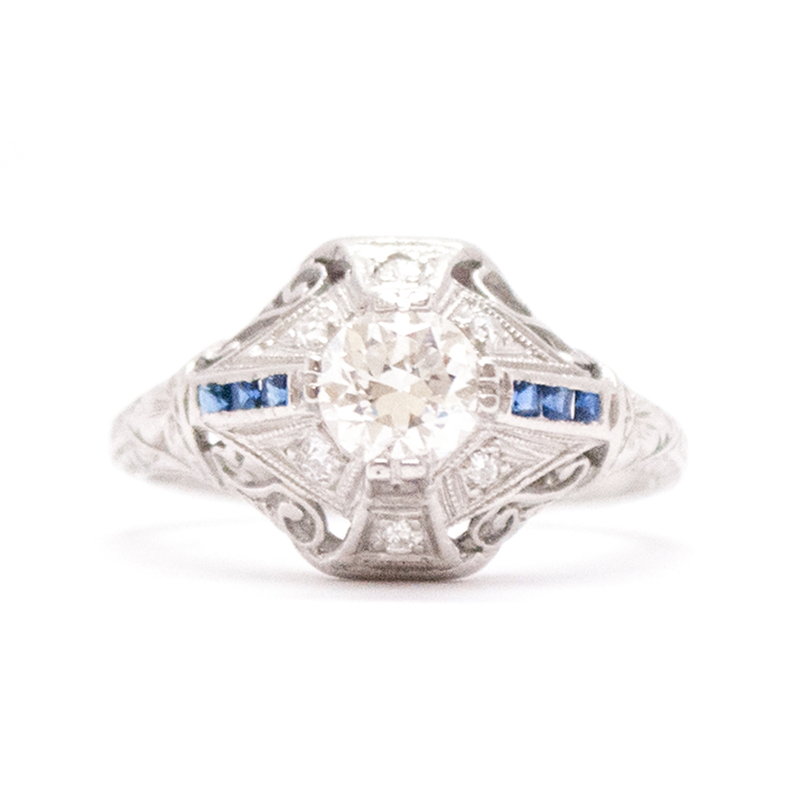 This Art Deco ring features an old European cut diamond in a domed, double four prong setting. 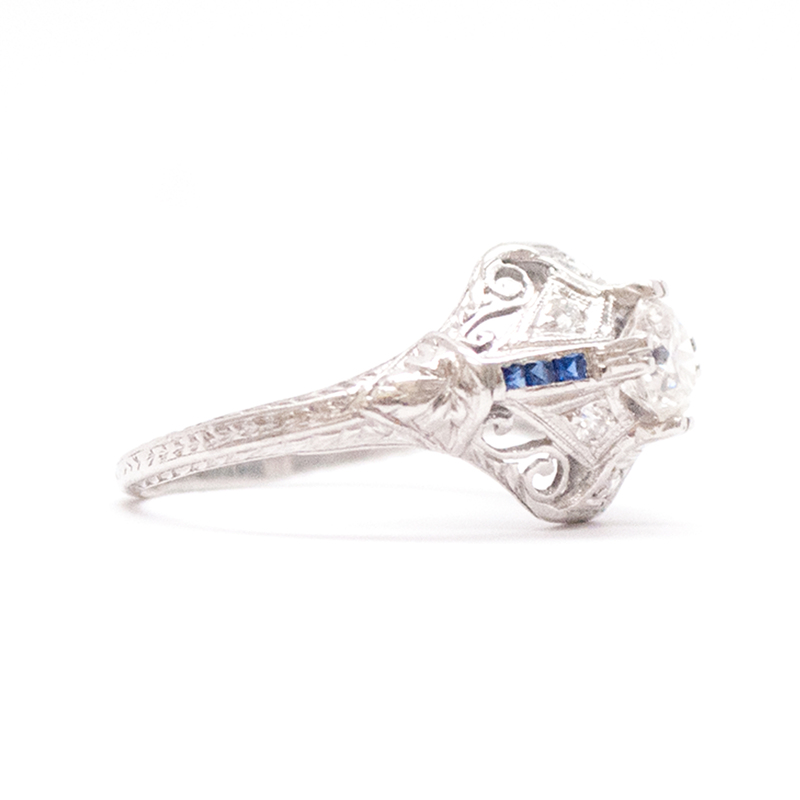 Accenting each east-west side of this diamond is a row of three, channel set square French cut synthetic blue sapphires. Accenting each north-south side of the center diamond are three smaller, bead set old European cut diamonds in kite shaped settings. 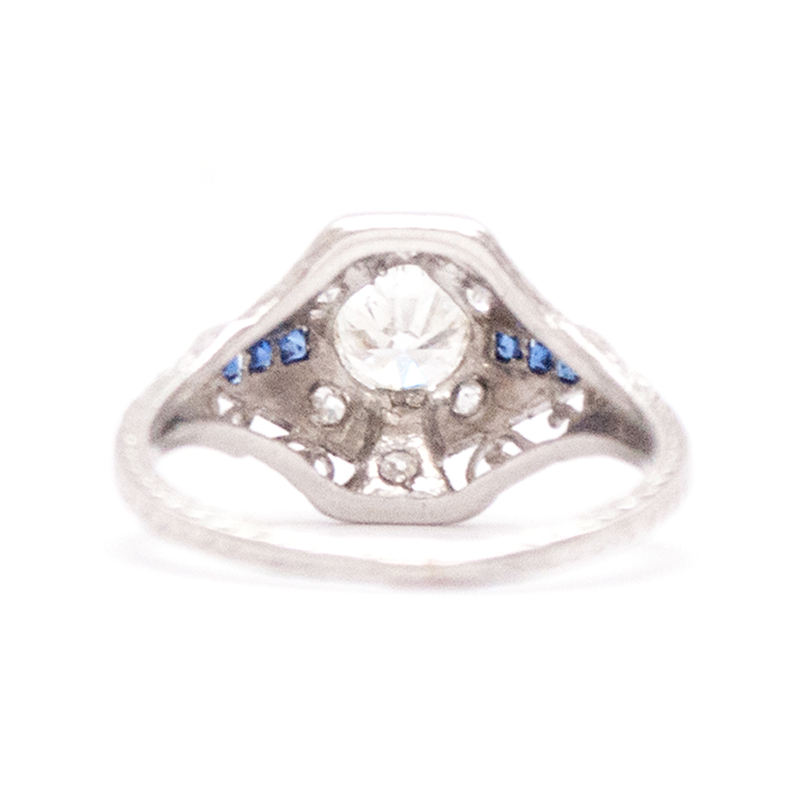 The reminder of the top of the ring has a pierced scrolls design. 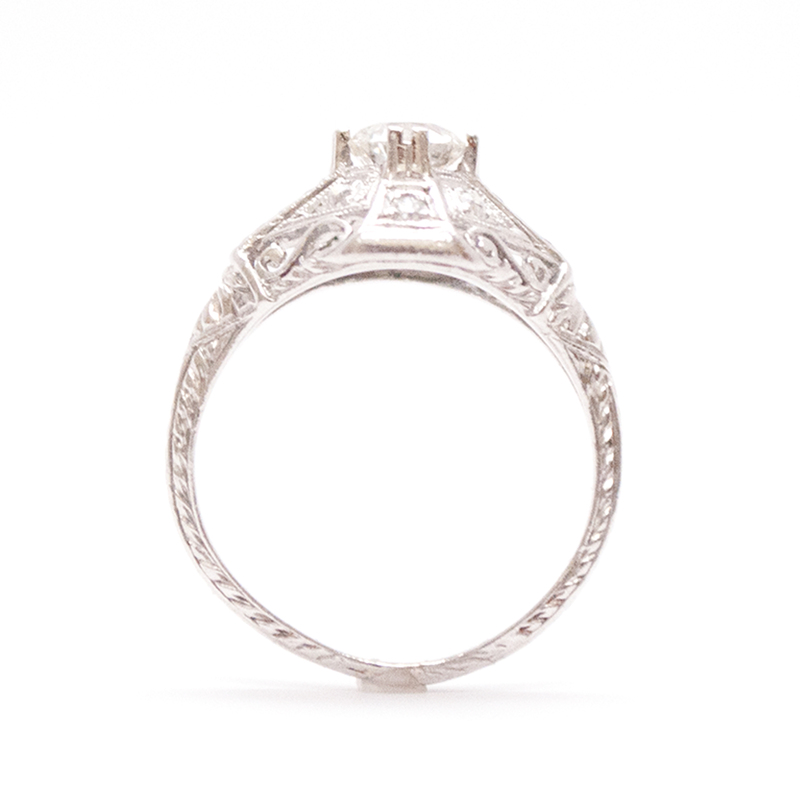 The shank has a engraved repeating wheat design.